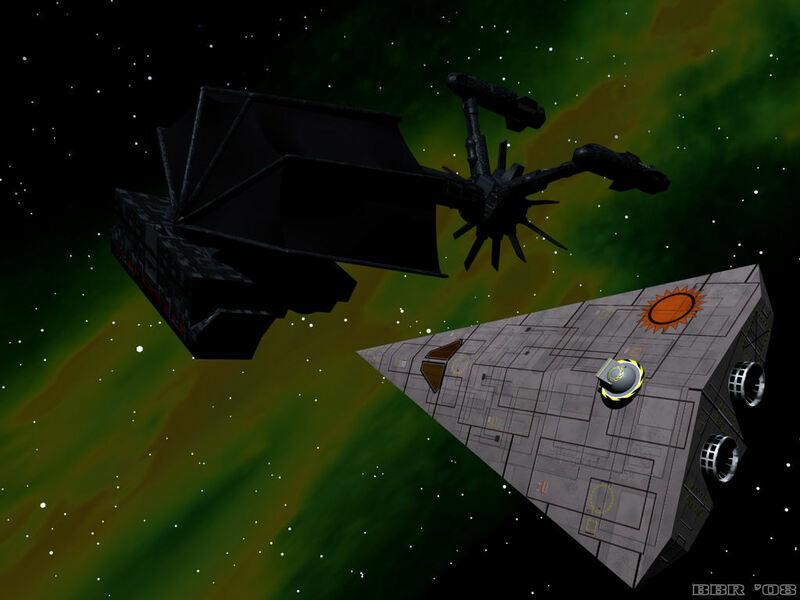 In the Keng system, an Imperial scout/courier approaches a derelict starship of unknown, and very unusual, design. An image based on the classic Traveller adventure, Annic Nova. Created with Cinema4D 10, and Paint Shop Pro 9.